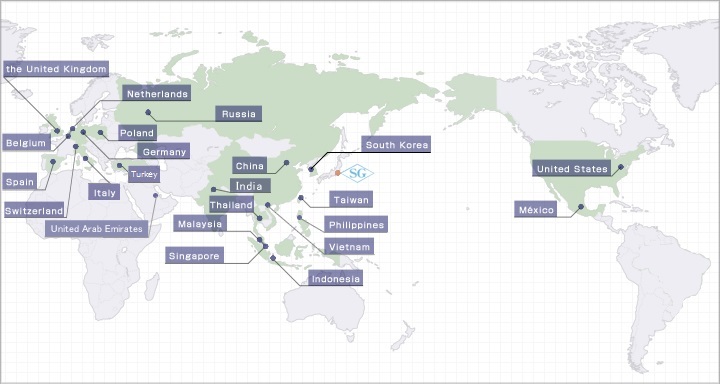 Korea Malaysia Singapore Taiwan U.S.
Dai-ichi Kogyo Seiyaku Co.,Ltd. DENKI KAGAKU KOGYO Co.,Ltd. DuPont Performance Elastomers K.K. Elastomix Co.,Ltd. JSR Trading Co.,Ltd. Kraton Polymers Japan Co.,Ltd. NISHINIHON BANDO Co.,Ltd. Nitto Kako Co.,Ltd. 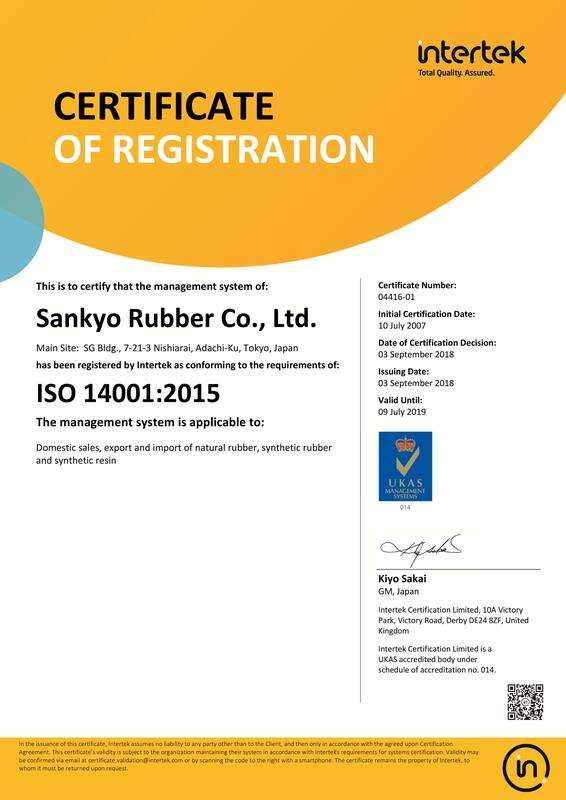 Sumitomo Rubber Industries,Ltd. Tajima Roofing Co.,Ltd. 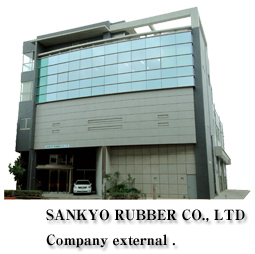 Company organization changed to Sankyo Rubber Co., Ltd., and capital increased to 10 million yen. Head office relocated to a new office built at SG Bldg., 7-21-3, Nishiarai, Adachi-ku, Tokyo. 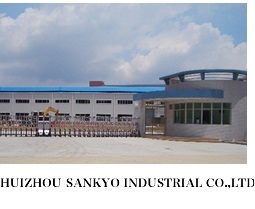 Established a joint venture in China "Huizhou east year sankyo industrial Co., Ltd"
Changed its name to the joint venture "Huizhou Sankyo Industrial Co., Ltd." Joint venture than "Huizhou east year sankyo industrial Co., Ltd"
Copyright (C) 2006 SANKYO RUBBER CO.,LTD All Rights Reserved.